A part of the International Phonetic Alphabet series, ‘Bud The Taste-bud’ draws its inspiration from a game used to promote a popular movie “Old School”. 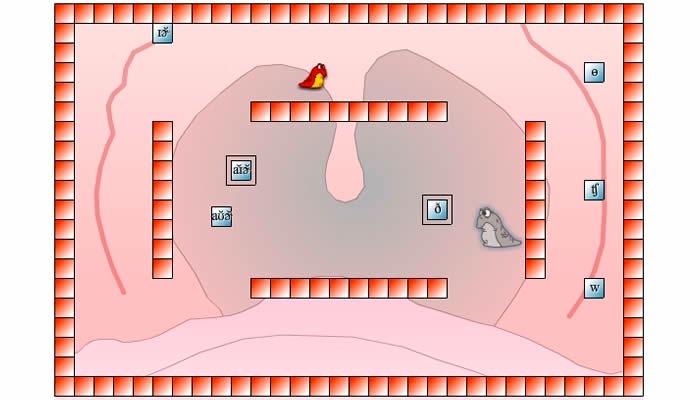 In ‘Bud’, the student must play sound files of words and phrases while gathering the available phonetic symbols that make up the words all while avoiding obstacles and opponents. The more correct symbols that are gathered the higher the students score. This entry was posted in Uncategorized and tagged fine arts, flash, Game, learning activity, phonetics, theater, voice, xml by Britt Carr. Bookmark the permalink.